If you’re ready to upgrade your propane gas appliances — or if you’re just getting started converting to a propane-powered house — Cherry Energy can help you make sensible choices for your home and budget. Cherry Energy sells and installs dependable, high-efficiency propane gas appliances that can help lower your energy bills, keep your family more comfortable and even shrink your home’s carbon footprint. Tankless water heaters – Get unlimited, on-demand hot water – and no more cold showers! Once you choose your equipment, we’ll install it quickly and safely, getting it done right the first time so there are no repeat visits. 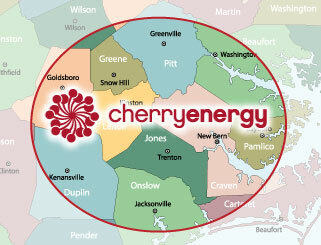 The Cherry Energy team will always work neatly with the professional courtesy you deserve. Contact Cherry Energy today to learn more about propane appliance options available for your home! Save up to $100 more with Rinnai! To claim your rebate, download the application form. *Offer valid through 12/31/19 or while funds last.